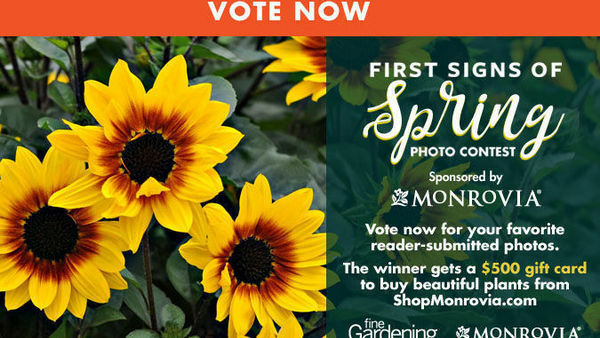 My garden, Hedgleigh Spring, has been a family affair for generations. My grandfather built a house on the family farm, then turned his keen sense of design outdoors to create a series of gardens on two gently sloping acres. My contribution to the garden he began in 1909 has been to preserve its unique design and to clothe its niches with interesting plants. But one spot perplexed me. Not far from the house, a set of broad, stone steps led down to a shady, sunken space surrounded by stone retaining walls. Shrubs atop the walls further enclosed the area, and tall white pines, hemlocks, and oaks met overhead in cathedrallike grandeur. My challenge was simple: what could I do with this intimate, shady space? Garden design begins with an idea, and mine came during a hike in New Hampshire’s White Mountains. Following a trail, I rounded a bend and dipped down into a little valley with slopes rising on both sides. The path was lined with waist-high ferns. Suddenly, I realized that ferns would be perfect for my shady spot. To me, ferns are the quintessential shade plant—their delicate, feathery beauty and intriguing diversity make ferns especially useful for designing foliage combinations that shine in the shade. Their cultural requirements were appealing, too: ferns are adaptable, easy to grow, and require comparatively little care. I quickly came up with a basic design for my shady, sunken garden, which I call the fern dell. I would leave a pineneedle– covered path down the middle and line both sides with perennial borders—but not borders with flowers. 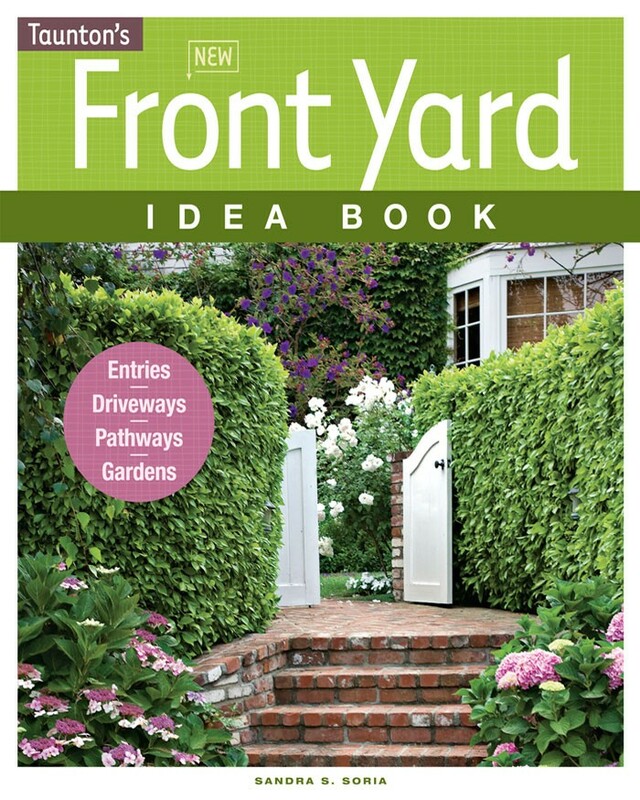 These borders would be filled with ferns and other shade plants. Log fern ( Dryopteris celsa ). Pink shield fern ( Dryopteris erythrosora ). Since ferns come in all kinds of shapes and sizes, they are easy to fit into almost any kind of garden. And, over the years, I’ve also discovered some with superlative beauty. When I want a tall plant with foliage that looks good all summer, I use log ferns (Dryopteris celsa). They are some of the tallest ferns I grow, reaching a height of about 3 feet if planted in rich, moist soils. In nature, they are often found near rotten logs, but log ferns adapt to almost any shaded spot—as long as it’s not too dry. Their upright, deep-green fronds are among the most beautiful I’ve seen. 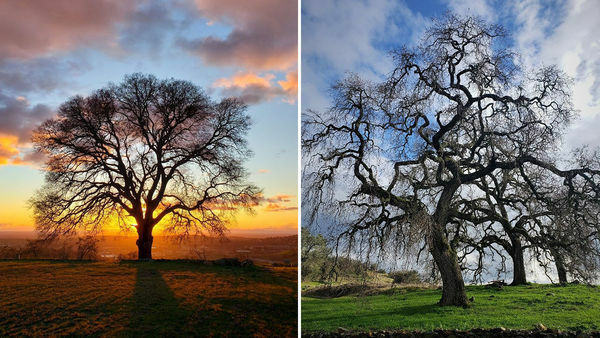 In winter, the leathery foliage is semievergreen, but topples over about the time the leaves fall from the trees. Log ferns are hardy to USDA Hardiness Zone 5 (–20°F). The emerging fronds of pink shield fern, or autumn fern (D. erythrosora), are, as the name implies, pink—especially in early spring. The fronds mature to light green, but new pink fronds continue to emerge intermittently throughout the summer. The arching, mature fronds on this Asian species have a somewhat leathery texture and may reach up to 2 feet in length. Pink shield ferns are hardy to Zone 5. Japanese painted fern (Athyrium niponicum ‘Pictum’ ) has cool, grey-green, almost silvery foliage and reddish-purple stalks, and I’ve found it useful for brightening dark spots in borders. 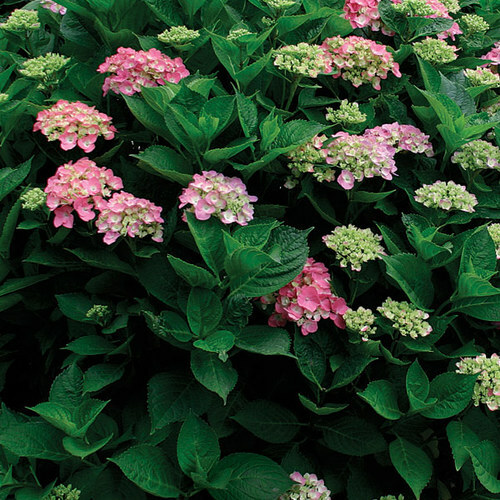 It reaches only 8 to 12 inches in height, but is easy to grow, prolific, and easily divided. It forms a tight ground cover when plants are placed about a foot apart. Japanese painted fern is hardy from Zone 4 (–30°F) south. A small fern well suited to the front edge of the border, the ubiquitous lady fern (A. filix-femina) is popular and easy to grow. 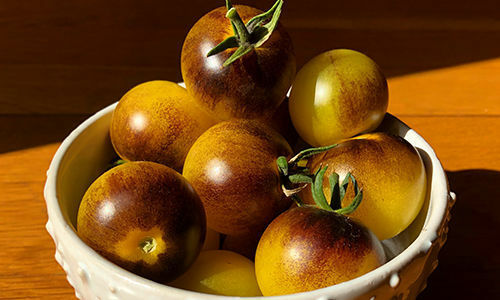 Because the foliage on common, full-size varieties discolors in late summer, I prefer the smaller cultivars selected by European enthusiasts over the last century. One of my favorites is ‘Vernoniae Cristatum’, with ruffled fronds that divide into tassels at the ends. It combines well with other ferns and, under ideal conditions, may reach 2 feet tall. It is hardy to Zone 4. Japanese painted fern ( Athyrium niponicum ‘Pictum’). 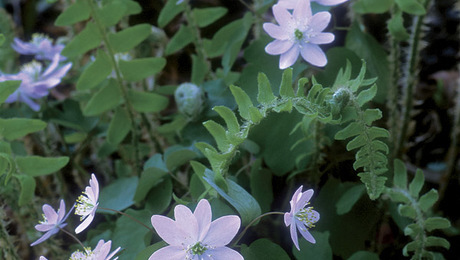 Another small fern well-suited to the front edge of a border is American maidenhair fern (Adiantum pedatum). 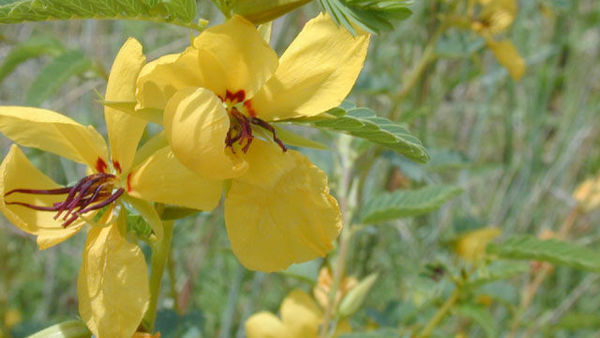 It has a distinctively bushy habit; soft, green fronds; and tiny leaflets lining its dark, wiry stems. It grows 1 to 2 feet tall and is hardy to Zone 3 (–40°F). The young fronds of a form sold as ‘Japonicum’ are an attractive pink. The Christmas fern (Polystichum acrostichoides) is a particularly accommodating garden plant. 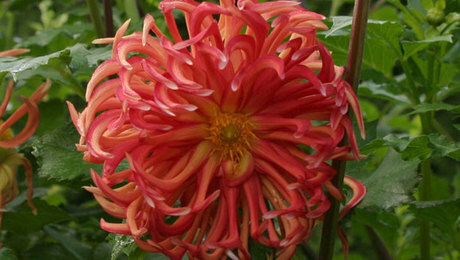 It is adapted to a wide range of conditions, from very dry to moist, and is hardy to Zone 3. 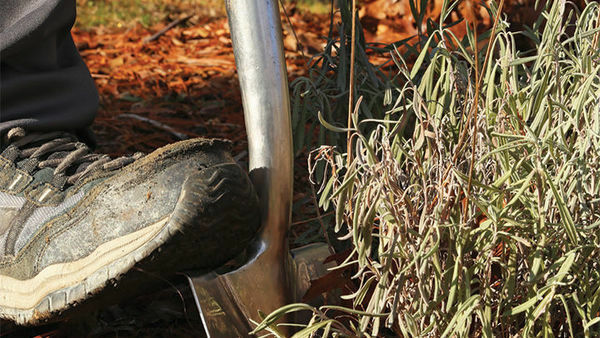 The plant’s 1- to 2-foot fronds are dependably evergreen—hence the common name—but they lay flat on the ground through the winter. 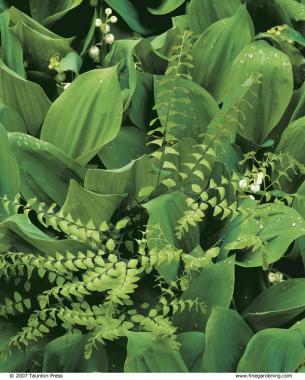 Few hardy ferns have more beautiful deep, glossy green foliage. 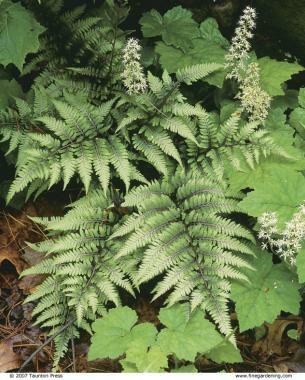 Crested lady fern ( Athyrium filix-femina ‘Vernoniae Cristatum’). Christmas fern ( Polystichum acrostichoides ). 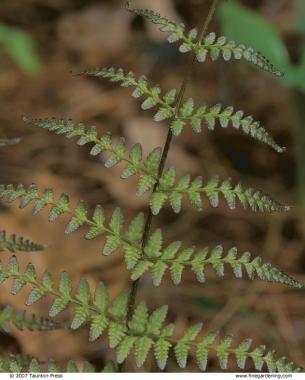 Most ferns like shade, though some thrive in sun if given adequate water. 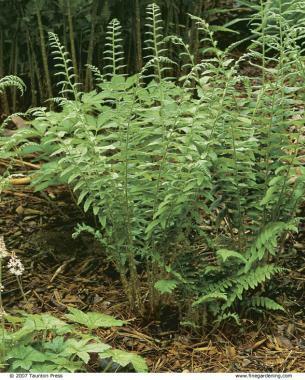 Moist, well-drained soil rich in organic matter suits most ferns. When moving or planting a fern, grip the plant by its roots rather than its fronds. Top off the soil with an organic mulch to shade and cool the roots, conserve water, and to provide fresh nutrients. It’s best to water ferns during summer dry spells. 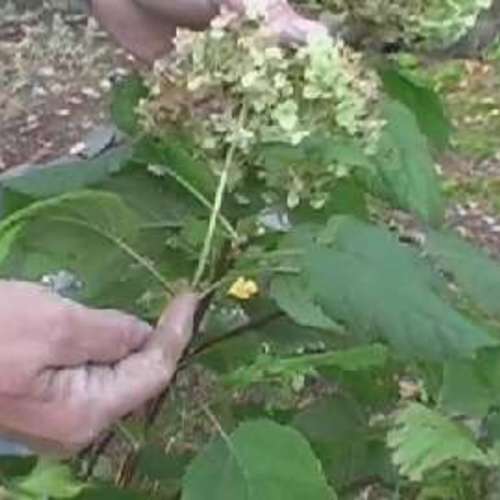 Divide an overcrowded fern in early spring. Given enough water, some ferns thrive in full sun. The author combined Japanese painted fern with sun-loving bearded iris to create a striking foliage combination. I like to contrast the lacy foliage of ferns with the leaves of other plants. Large-leaved hostas are a common choice, but I use them sparingly for fear they will overpower the delicacy of the ferns. Instead, I rely mostly on plants like the May-blooming creeping phlox (Phlox stolonifera), foamflowers (Tiarella spp. 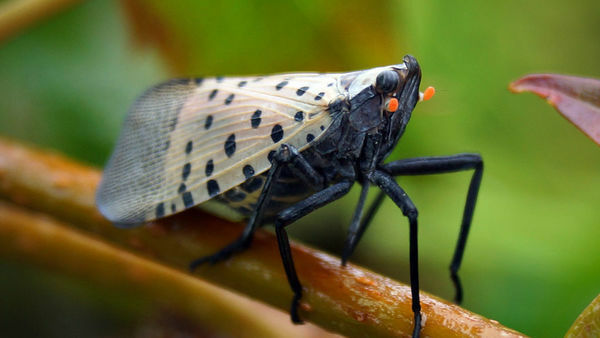 ), both the native and oriental bugbanes (Cimicifuga spp. ), the white-speckled leaves of lungwort (Pulmonaria spp. 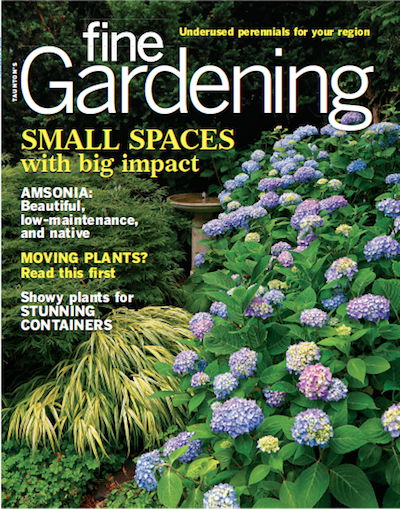 ), dwarf astilbe (Astilbe chinensis ‘Pumila’), and hardy begonia (Begonia grandis). 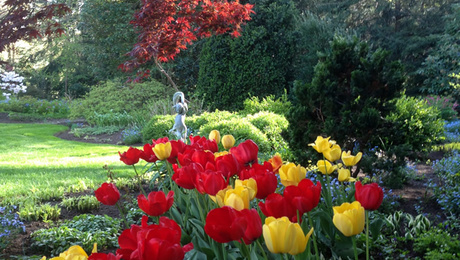 Bulbs are excellent companions too, and their unsightly, maturing foliage is hidden by unfurling fern fronds. Unfortunately, few bulbs survive in my wet, spring soil. Summer snowflake (Leucojum aestivum) and camass lily (Camassia leichtlinii) are exceptions—both are well adapted to soggy conditions. The deciduous trees overhead in the fern dell allow plenty of winter and early spring sunshine to reach their leaves. In better drained soil, I’d add daffodils (Narcissus ssp. ), snowdrops (Galanthus ssp. ), glory of the snow (Chionodoxa spp. ), Siberian squill (Scilla siberica), and winter aconite (Eranthis spp.). 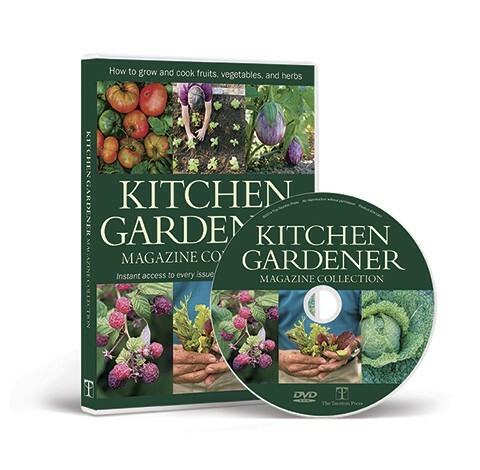 I plant in groups of two to three dozen small bulbs like snowdrops and winter aconite, or one to two dozen larger bulbs like daffodils. 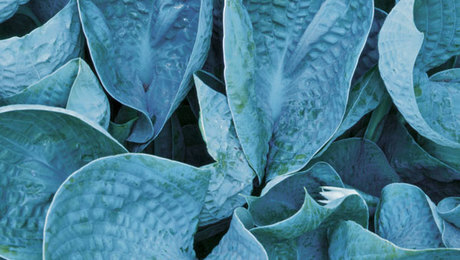 I place the clumps between the ferns, so that in late spring the bulbs’ maturing foliage will be hidden by the fronds. The ideal place to grow ferns is in constantly moist, well-drained soil that is rich in humus. 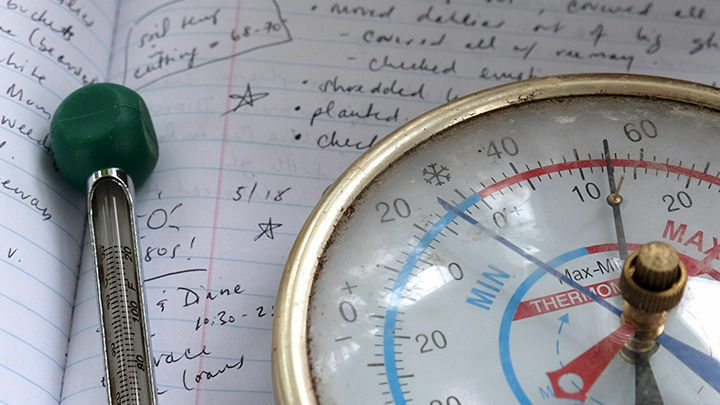 My damp, clay soil is nothing like that, but I’ve increased my success by trying to understand the soil conditions different varieties require and then planting appropriately. Ferns are actually quite adaptable. Provided there is adequate shade, some varieties tolerate summer drought. 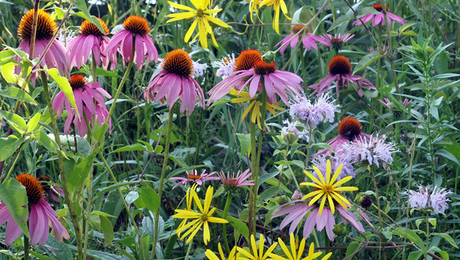 They may wilt and go dormant, but, if established, are likely to revive when rain returns in fall. Other ferns withstand poor drainage and very wet conditions. Whatever conditions they prefer, watering them during summer dry spells will keep them looking fresh. Log fern stands tall all summer, growing about 3 feet high in rich, moist soils. The best time to plant or transplant ferns is in spring, but if you buy them in pots, you can plant them any time. Established ferns have dense, shallow roots, but can be easily transplanted from fall until spring as long as they have a mulch to prevent winter heaving. When planting, I give ferns a good start by working lots of leaf mold or other compost into the soil 4 to 8 inches deep. Even when growing, they can be successfully moved if they have a large root ball. Whether I’m planting potted ferns or transplanting, I always lift the plant by its roots rather than the fronds. Broken fronds are a telltale sign that a fern has been moved. I cover the soil with an organic mulch to conserve moisture and provide a steady supply of nutrients and new humus. 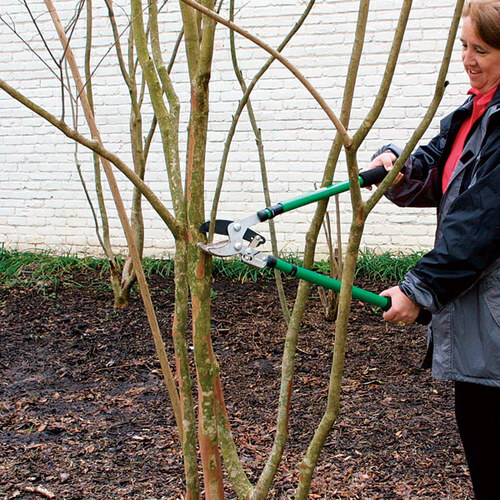 A loose, fluffy mulch of shredded leaves 3 to 4 inches deep each fall also helps build up a layer of leaf mold. If a planting becomes overcrowded with large clumps of ferns, I make divisions in early spring before growth begins and rearrange the bed by moving the divisions farther apart. 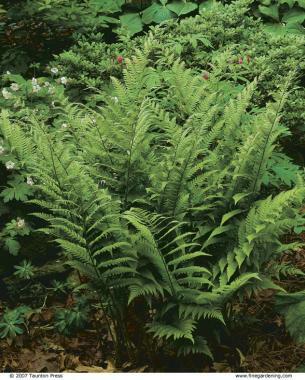 Small, delicate ferns can be used at the front of the border. 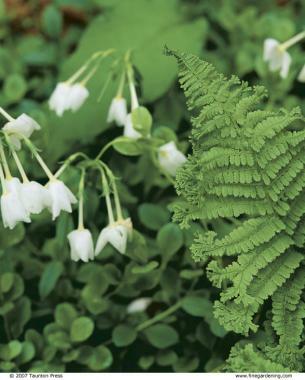 The author likes using maidenhair fern ( Adiantum pe datum), planted here with lily of the valley ( Convallaria majalis ) as an edging plant. 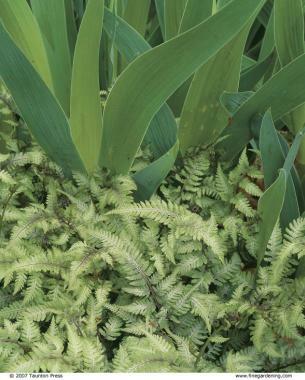 My fern dell is a low-maintenance shade garden that looks good for the whole growing season. 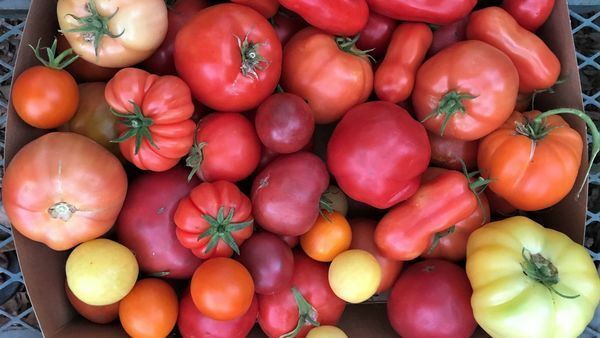 I’ve had to make the best of the prevailing conditions, and my search for the best-adapted varieties has reduced care and maintenance over the years, but I’ll never finish learning and experimenting. I prefer to start the next season early, with a cleanup in late fall or winter. I cut off the old fronds and add leaves to create a bed of mulch. Then I watch for the lungworts to bloom and the first bulbs to appear in early spring. 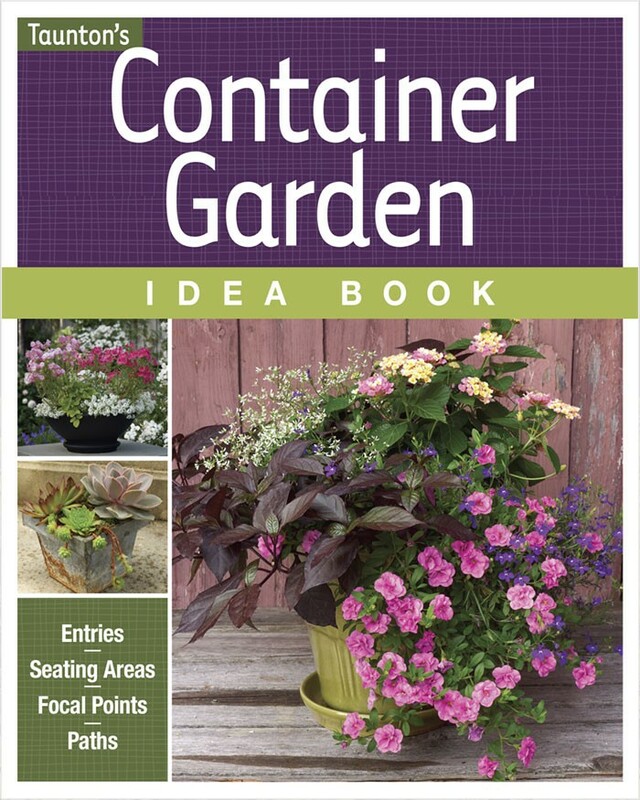 In late April and May, the ferns’ fresh, new fiddleheads unfurl among creeping phlox, foamflowers, snowflakes, and camass lilies. 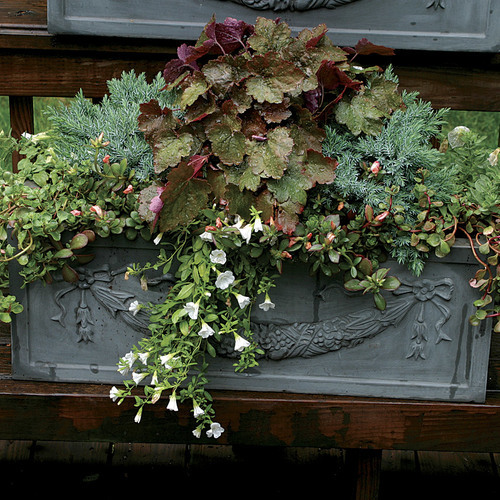 Astilbe, bugbane, and hardy begonia follow later to accent the lacy, maturing ferns. Through summer, and even into fall, the fern dell beckons as a cool, quiet, and restful retreat. I designed the fern dell to be satisfying throughout the growing season. 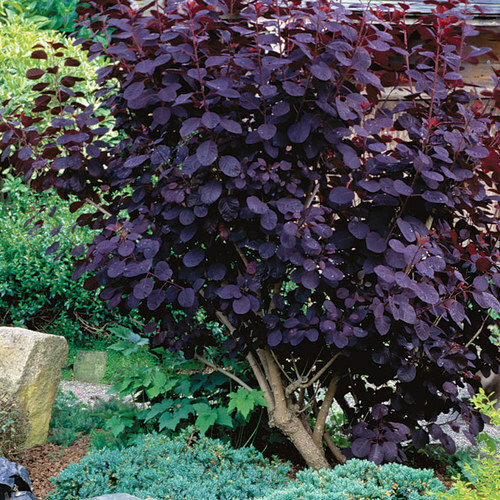 That meant relying on plant combinations based upon sturdy, long-lasting foliage rather than ephemeral flowers. Over the years, I’ve found that the key to making those combinations is contrast, which I try to create by placing plants that look markedly different next to each other. I might contrast a finely cut fern with a large, solid hosta, or place a spiky bugbane behind a few horizontally spreading ferns. I also like placing purple bugleweed (Ajuga spp.) 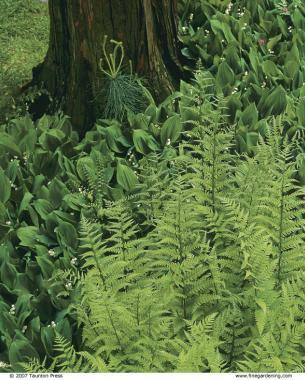 under a lightgreen fern, and using a plant with large foliage behind something with similar, but smaller foliage. The subtleties of leaf color and texture offer endless opportunities for new combinations. 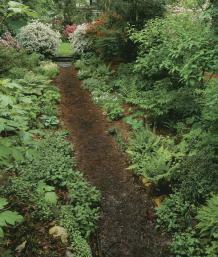 My borders in the fern dell are long, and face each other across the path. I want the garden to appear balanced when I look down the path, but I don’t want rigid symmetry. And I also don’t want large plants too close to the path. Therefore, I place large elements toward the back of the border and I repeat them elsewhere— but not directly across from each other— to bring a sense of unity to the garden. Since the borders are only a few feet wide, I use the larger plants singly as specimens—otherwise they threaten to overwhelm the garden visually. Closer to the path, I plant the shorter ferns and smaller plants in groups of three or more, so their size equals, more or less, the mass of the larger plant behind them. I repeat these groupings elsewhere in the beds, so that they seem to echo back and forth as one looks down the path. The collector in me likes to plant as many varieties as possible, but the designer in me appreciates repetition of colors and textures. 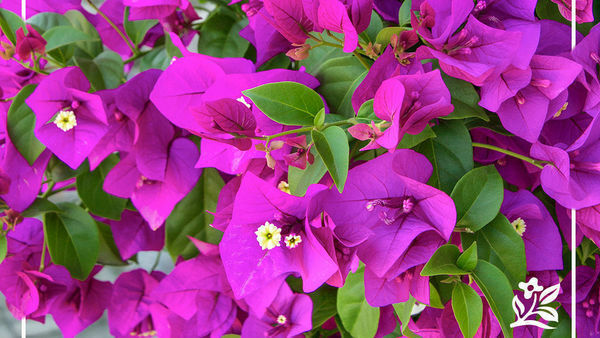 I achieve this repetition by using plants with similar appearance and bloom time in various locations. 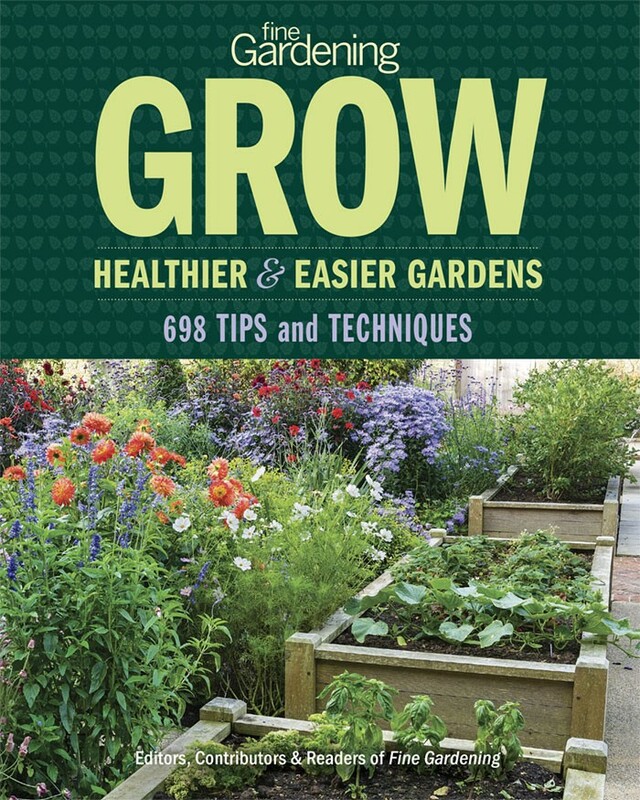 As a finishing touch, I allow low-growing ground covers—like creeping phlox—to spread between larger plants, thus knitting the composition together. Got any that aren't attractive to squirrels and rabbits? Every variety that I've attempted has come to fiddlehead the first year and been eaten down to the ground, never to arise again. I have too much in my garden in places where they are unwanted. They even invade flower pots. How can I get rid of them without using chemicals?